Technology and Wellbeing, MAC and the University of Macerata (UNIMC) present their research project at the Massachusetts Institute of Technology (MIT) in Boston, MA. The project “Analysis of human behavior in everyday life contexts, to develop new technologies supporting quality of life and the development of “well-being”, was created by Luigi Mandolini (CEO of MAC) and has been under development for the past two and half years together with the University of Macerata, under its EUREKA program, co-funded by MAC. MAC and UNIMC have always shared an interest in the study of human behavior, particularly regarding the needs and desires of people. The study focuses on technology as an instrument to create wellbeing and comfort for the end users, in particular, users who are most vulnerable, for example non-self-sufficient elderly people. Imagining the end user as a sensor has been the principle guide of the project and the focus for the realization of smart objects. The goal of the project is to create systems able to provide personal comfort to people with different needs, including temperature, light, sound, etc. 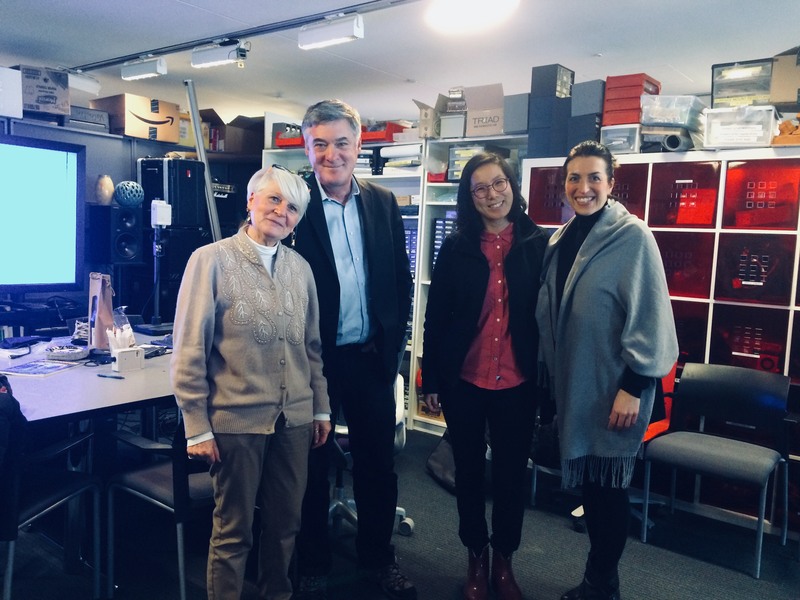 On March 8, 2018, Professor Paola Nicolini and PhD student Margherita Rampioni presented the project at the Media Lab of MIT, one of the most important, and esteemed Centers in the field of technological research. Dr. J. A. Paradiso, the director of the research group “Responsive Environments” welcomed our team, and has since outlined new meetings and potential future collaborations between MAC, UNIMC and MIT.